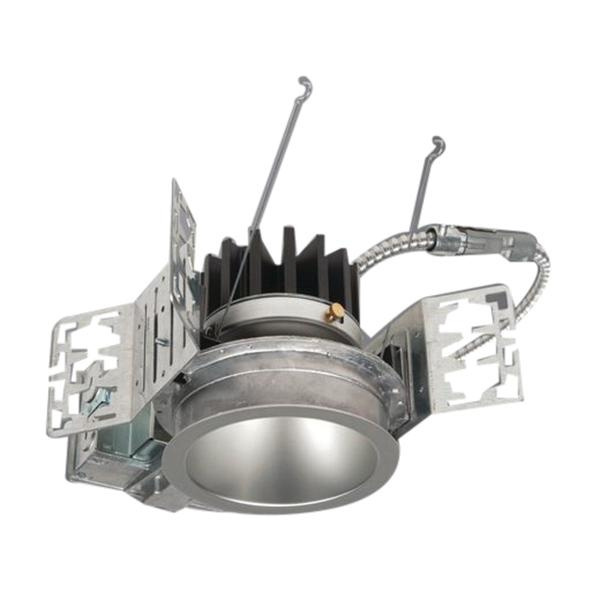 Cooper Lighting Portfolio Collection 4-Inch LED downlight new construction housing has 900-Lumens LED lamp that has voltage rating of 120 - 277-Volts. It has cut out of size 4-3/8-inches. It measures 10-3/16-Inch x 9-13/16-Inch. Universal mounting bracket accepts 1/2-Inch EMT, C-channel and bar hangers and adjusts 5-Inch vertically from above/below the ceiling.